Detention facilities across the US, rely on Tech Works quality audio and easy to use intercom systems. 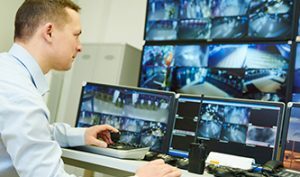 These vandal proof intercom solutions stand-up to the test in both physical and acoustically harsh environments giving guards, staff, and inmates an intelligible and safe communications platform. This complete intercom package provides flexible, facility-wide communications tools that allow staff options to customize how they speak with, scan, or listen in on any room that they choose. Guards can get messages to a cell, cell block or the entire prison without leaving their post. A durable system that is made to handle the challenges and rigors of day-to-day use in high security environments.